Breweries seem to be popping up all over these days. The program for these spaces can be scaled up or down depending on the size and scale of the brewing operation - some local neighborhood brewers will find a space they want to function more or less like a neighborhood tavern, but with the quality of home-made beers to choose from... Others are more interested in production-oriented brewing at larger scales for the purpose of distribution. Understanding the needs of the different scales can save time and money for such clients, who typically are in the process of investing their life savings into this dream business. 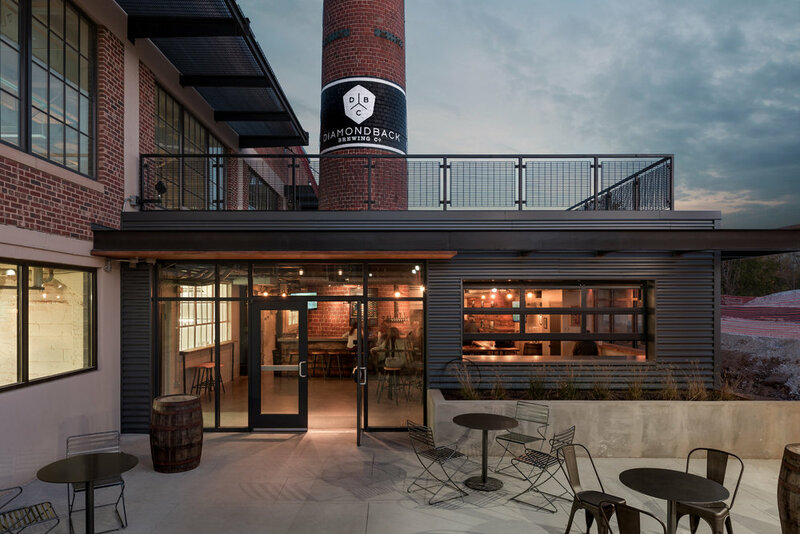 No matter what the size of the operation entails, their is typically the need for a space to engage the public and share the product - the Tasting Room becomes a critical component to the company brand. Most brewers are interested in becoming part of the history of brewing... the culture of beer is one of companionship, of spirited conversations, of craft and skill, and of friends and family. 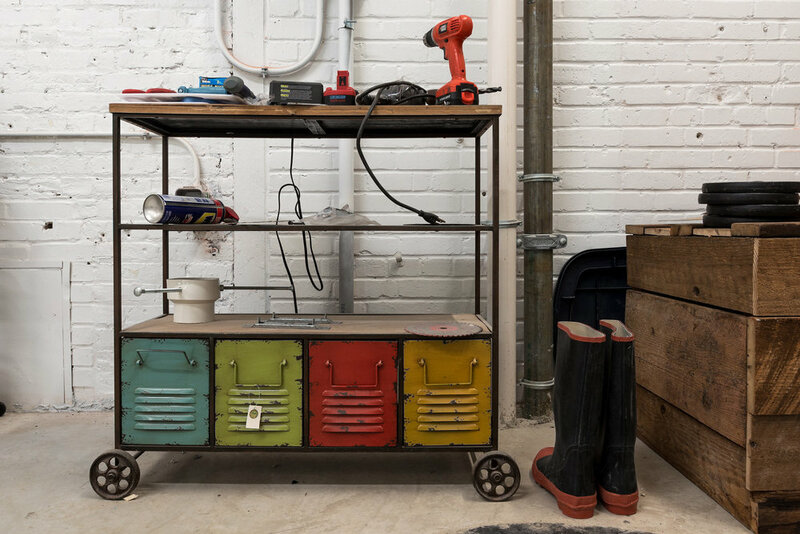 This tradition should be something considered in the design of the space - something that shows the brewer as part of a connected history, with the fresh feeling of something new mixed into a space with wisdom and soul. 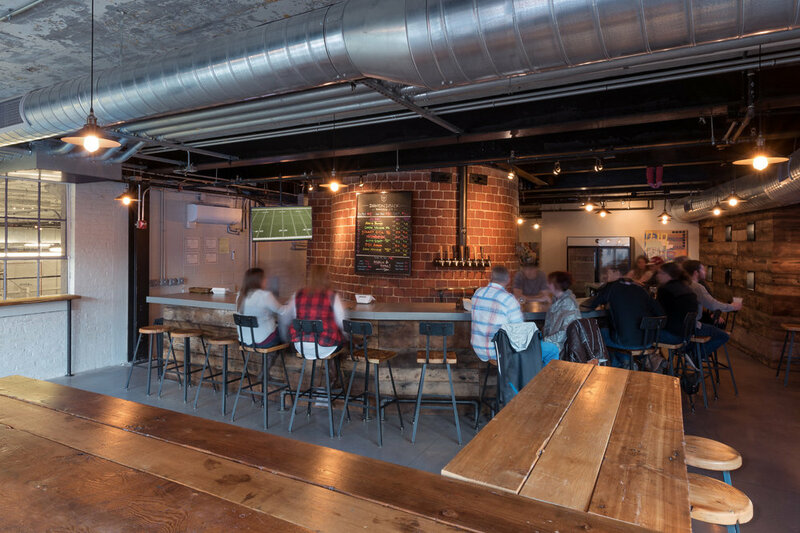 The space dedicated for brewing needs to be visible and connected to the space where the public can taste the product. Both parts of this program can be housed in such a way that the character of tradition and of history are present and part of the atmosphere... a recognition of this connection of the present and the past. > Back to Commercial Typologies.